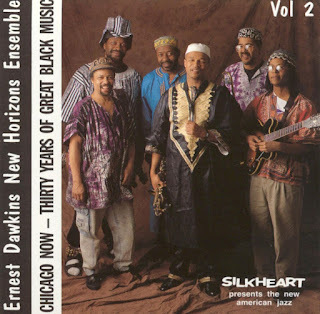 To celebrate the 30th anniversary of the AACM, altoist Ernest Dawkins (who also plays tenor and flute) and his New Horizons Ensemble recorded enough music to fill up two CDs. 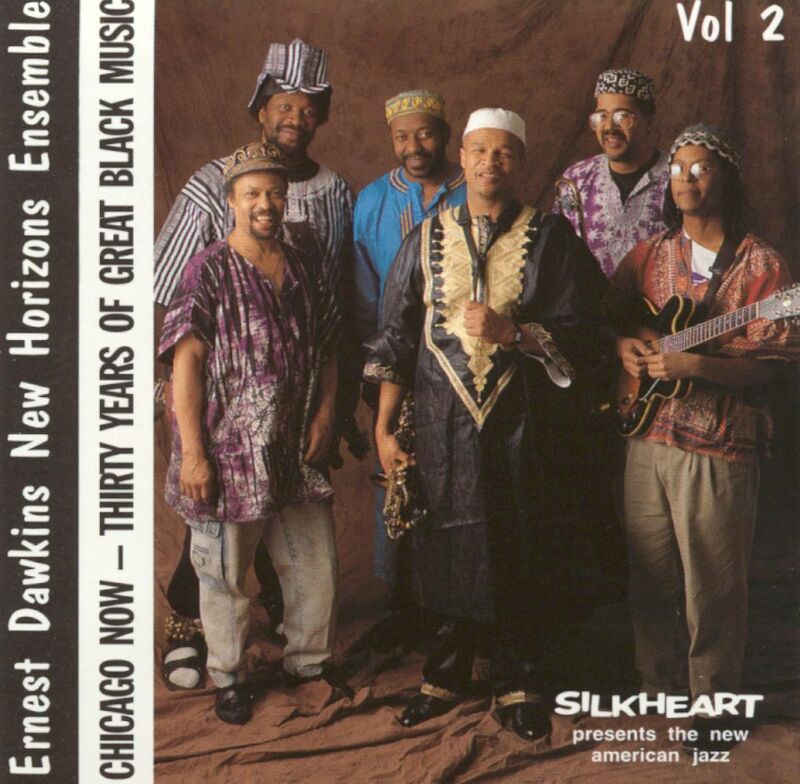 The episodic performances, which cover a variety of styles, are a little reminiscent of the Art Ensemble of Chicago, if not quite as exploratory. “Monk’s Temptation,” an exciting free bop piece with a passionate but logical alto solo from the talented leader and hot riffing from the brass (trumpeter Ameen Muhammad and trombonist Steve Berry), is a highlight, but all seven selections (including two numbers heard in “alternate” versions from the ones on Vol. 1) are quite colorful. Ranging from fairly straight-ahead improvising and jamming in a vein similar to early Ornette Coleman to some creative funk and moments of completely free playing, the music (which also features guitarist Jeffery Parker, bassist Yosef Ben Israel and drummer Reggie Nicholson) is continually intriguing. It is obvious that these six musicians had spent a lot of time playing together because they react quickly to each other, share the lead, and often speak as in one voice. A superior and well-played set that should even interest jazz listeners who claim to not enjoy the avant-garde.